The story begins as Vikram Maharaj (Amitabh Bachchan) is being released after finishing a long prison sentence for murder. Waiting to take him home are Bipinlal (AK Hangal) and Nisha (Simi Garewal). 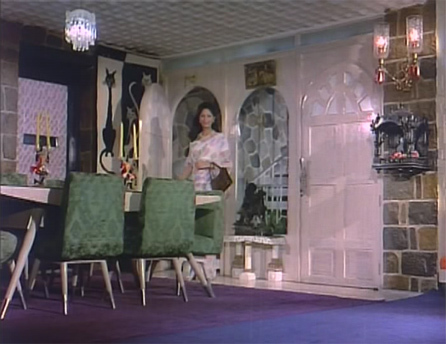 At his home, furniture shrouded in sheets, Vicky stops in front of a garlanded photo and is lost in memories. 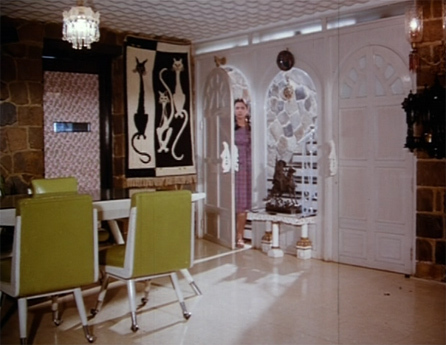 Somu (Rajesh Khanna) lives in a chawl with his widowed mother (Durga Khote) and younger sister Sarla (Manisha). His best friend is wealthy Vicky; they were in law school together and are trying to find work in a law office. Not all the other chawl residents understand this friendship but Vicky and Somu are inseparable. Vicky’s father Damodar (Om Shivpuri) is a factory owner in Bombay, who has little time for his son and is consumed by wealth and ambition. Vicky is an only child who grew up without a mother. He’s found one in Somu’s mother, and a sister in Sarla. 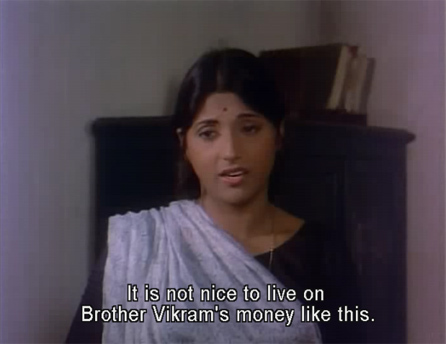 He helps out with the family’s expenses, which doesn’t sit well with Ma and behen. They want Somu to stop goofing around with Vicky at bars and dance halls and get a job so he starts earning money himself. Somu doesn’t see the problem, though; to him, Vicky is family and what’s the difference if he pays? Damodar is on bed rest for two months, and he asks Vicky to take over the running of the factory. Vicky’s inexperience and innate arrogance soon cause a clash with the head of the factory’s labor union, Bipinlal. 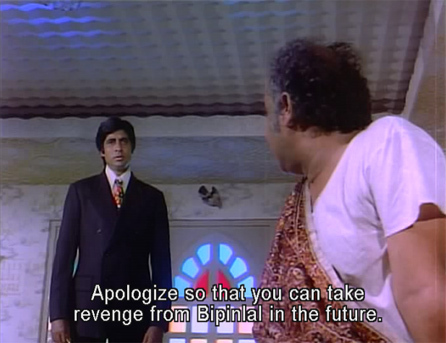 When the work force goes on strike in support of Bipinlal, Damodar orders Vicky to apologize to Bipinlal so that the workers get back to work. Humiliated, Vicky grudgingly does so. His father sends him back to Delhi for a few days, and when Somu sees how upset Vicky is over the incident, he offers to help Vicky get back at Bipinlal. He goes to Bombay with Vicky and takes a job at the factory as an ordinary worker by the name of Chander. Against Vicky’s wishes, Somu also settles down in the basti nearby. His plan is to oust Bipinlal as union leader by superseding him in the opinion of his fellow workers. Lonely Vicky makes Somu promise to visit him on the sly late at night. Somu quickly befriends an alcoholic poet named Alam (Raza Murad), the mill foreman, Dhondu (Asrani) and falls for Dhondu’s sister Shyama (Rekha). Rekha is almost unrecognizable, she’s so young! They all get high (well Rekha doesn’t, like a good girl, but the men do) on Holi in a very funny scene. Anyway, Vicky and Somu work together in good cop-bad cop scenarios which they set up at the factory. “Chander” speaks out on behalf of workers’ issues and Vicky eventually “gives in” to his demands, making Chander-Somu quickly very popular with the factory employees. and here is the same room in Chorni nine years later! As you might expect, Somu gradually gets ensnared in his new life. I’m leaving out many details about the people and events in the basti, but they are very well done character studies and situations. When he is inevitably elected as union leader over Bipinlal Chander/Somu realizes that their deception has become his reality. 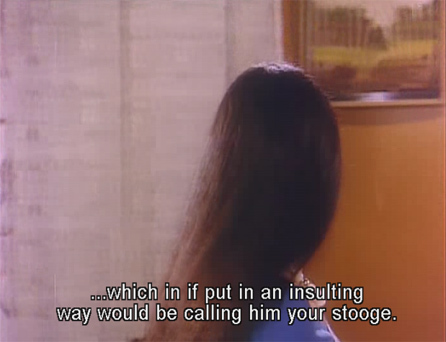 Vicky wants him to resign as union leader so that he can have his friend back (now that his revenge over Bipinlal has been accomplished) but Somu tells him that it’s not that easy. He tells Vicky that he can leave the job with a clear conscience only if Vicky and his father increase the workers’ pay. He explains to Vicky how they find it hard to make ends meet and Vicky agrees to propose an increase to his father. When Vicky goes to Damodar to discuss it, Damodar is furious. He quickly understands the source of Vicky’s newfound concern (he knows that Somu is now the head of the union, and had earlier warned Vicky that it might backfire). He resolves to rid himself of Somu. He first visits the factory, and deliberately identifies Somu as a friend of Vicky’s—hoping that a betrayed mob will take care of Somu for him. Somu does get a thrashing at the hands of the other workers, but is saved from death by Bipinlal and then forgiven when they realize that he has come to care about their plight. This creates a rift between Somu and Vicky, though, when Somu refuses to leave the basti. Feeling hurt at his friend’s defection—to the very people who have beaten him up—Vicky storms off. Damodar’s next move is to fire Somu, but the workers quickly rally around him and go on strike. Somu visits Vicky to try and make up with him, but Vicky remains angry. Nisha arrives as Somu is leaving, and she also tries to make Vicky understand the difficult position that Somu is in. 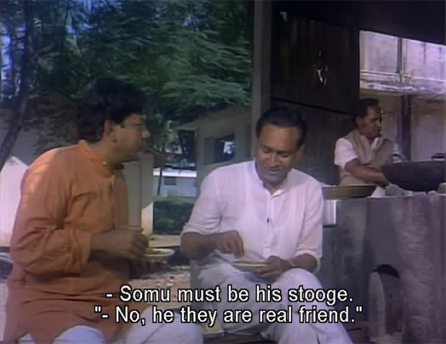 Meanwhile, Damodar is thoroughly fed up with the strike and he wants Somu gone for good. Seeing no other option, he gives final instructions to his men. What happens next? Does Vicky kill Somu? How does he become friends with Bipinlal? Why was he imprisoned for murder? Have a box of tissues ready when you’re ready to find out. It’s a fine film by one of Hindi cinema’s best directors with a talented cast. The songs by RD Burman are nice, although none of them particularly stuck with me. They fit in the film nicely though (and were subtitled! yay). 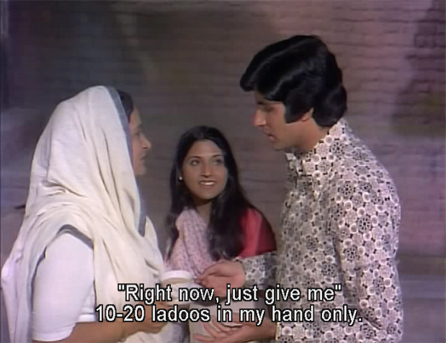 This was Amitabh’s first angry man role when he didn’t pick up an AK-47 and fire at the villains. He cares deeply for his friend who is not equal in his status. Namak Haram is about their attachment and quarrel. There are innumerable stories about quarrelling friends floating around, but critics insisted that mine was inspired from Beckett. Beckett is the story of a king who wants to turn his servant into an Archbishop. My film is about an affluent who cannot live without his middle-class friend. 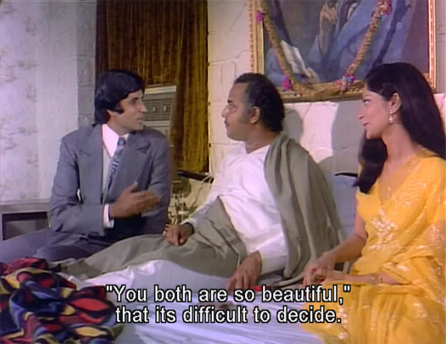 I cast Rajesh Khanna and Amitabh again, but this time in reversed roles. 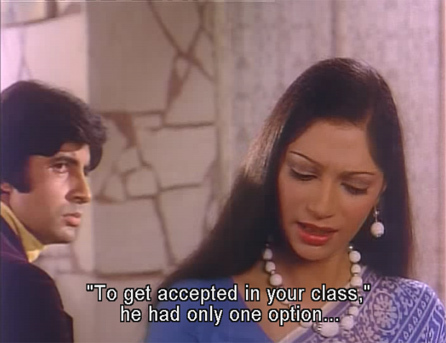 I wanted Amitabh to play the extrovert, while Kaka, an introvert. I didn’t reveal the end to either of them because I wanted it to be a secret. The only one to have a slight inkling was my dialogue-writer Gulzar. In Hindi films, the one who dies is considered a hero, so both were keen on being heroic. It was only on the day of shooting, that Amitabh finally learnt the truth. He was crestfallen! He was so hurt that he didn’t speak to me for several days. He felt I had betrayed him. It was months later when recordist, Mangesh Desai, saw the film and phoned him to say he was brilliant, he was willing to rethink but still disbelieving. Next, Jaya and Gulzar saw the trial and were vastly impressed. Again, he was unconvinced. He felt he had screamed too much in the last scene. But then that’s Amit. Over-critical and perfectionist. Posted on September 7, 2008 at 4:17 pm in Hindi movies	| RSS feed You can skip to the end and leave a reply. this is such a good movie, there were no convolutions at the end, gulzar is always such a good writer, and i like anything hrikesh does, i had an absolute cry fest when watching this movie so much that my neck was wet! and stupidly my neck was only drenched in tears when i watched raj’s barsaat! i am a terrible reviewer! i love that eerie room, though i like chorni’s design of the room better! Yes, the movie made sense from start to finish; didn’t wander off into unnecessary side plots and just was so well done from every angle. I loved it. As for the identical room, it was the cats that tipped me off, but really nothing much changed between ’73 and ’82! Memsaab—What are you doing ré**? We are crying so much only! When RK sings to ‘bandhu’ (Mein shayar badnam), when AB challenges everyone at the ‘basti’ after RK is beaten up the first time, when RK comes with Ma’s laddoos to AB’s, you get the drift…. It’s a great loss to Hindi cinema that these two never worked together after this—both Anand and this film are testimony to how compelling they were together. Namak Haraam’s supporting performances were also stellar as you’ve noted. Raza Murad’s, the ‘bandhu’ (incidentally he is Zeenat Aman’s first cousin, the queen of trivia, that’s me) career took off from here. Unfortunately he was doomed to be cast as the villain in most of his later roles. You didn’t think much of the songs hmm? Three of them are considered to be classics and almost always feature in the best of Kishore’s collections i.e., (‘Diye jalte hain’ when AB is filming RK, ‘Nadiya se dariya’, the song at Holi and ‘Mein shayar badnam’ at bandhu’s). Interestingly, I’ve heard the same opinion about Anand’s songs from folks here in the West; they were and are still hugely popular in India. Wonder why? Would be interesting to delve deeper. Thanks so much Memsaab for all your efforts—remembering ye olde fillums is like a breath of fresh air amidst the fug of poor old Karan Johar’s, Sooraj Barjatya’s, and Aditya Chopra’s (those he directs, some of the stuff he produces such as Chak de, Kabul Express, etc. not to be included here of course) incessant weddings, karva chauths, mansion-like dwellings, bizarre characters, and the like. **ré – another famous RKism that’s acquired the iconic status of ‘Babumoshai’ and ‘Pushpa, I hate tears’. Another, of course, is calling his love ‘arre pagli’. What joy he hath given us I tell you. I understand he taught the men of those times an entirely new way of wooing. Nice review mamsaab. 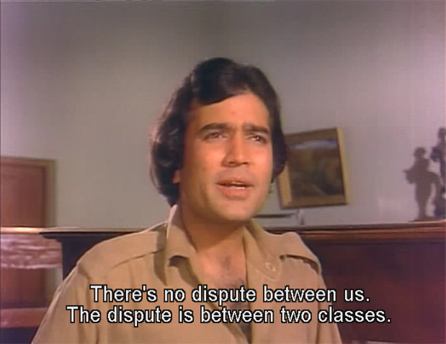 we welcome you and other friends to Rajesh khanna forum at Topix.net for a lively debate on all aspects concerning kaka. Suhan: This is such a sobfest. Yes, it’s too bad AB and RK never worked together again. They also seemed to enjoy themselves in scenes together—played off each other so beautifully, I find it v.v. difficult to believe that they disliked each other in real life. Re: the songs, I didn’t dislike them at all, I just wasn’t bowled over by any of them. They didn’t stand out above the story, which is not a bad thing anyway when the story is this good :-) And “Arre pagli” does make my heart flutter! Anaad: Thanks :-) Glad you stopped by here. I haven’t seen this movie, and I’m going to have to put it on my list. I’ve learned at this point that when Gulzar writes something, there’s a good chance it is going to be very good. I think we can agree that it would be nice if the wealthy returned some of their wealth to society, especially when there is great inequality everywhere. 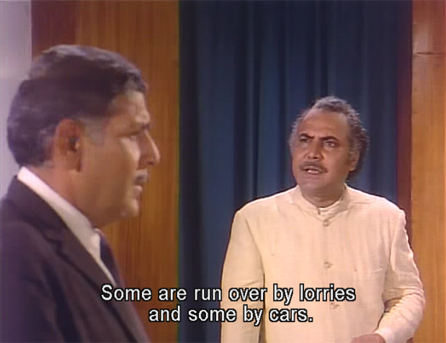 That, certainly, is a theme in many old Bollywood movies – in addition to the idea of socialism itself. These ideas are as relevant today as they were not only 35 years ago, but 50 to 55 years ago. As you know, I’ve been very taken with the Bollywood films of the mid and late 1950s. These movies often have strong elements of social criticism and, sometimes, a lot of socialist content. But they also have the best music and dance, and they are intended as popular entertainment. I think it’s probably much more difficult to find that kind of combination in Hollywood movies, and I haven’t seen it so much in most of the more current Bollywood movies that I’ve seen either. Yes, post-Independence India was quite Marxist. Ayn Rand would have hated Hindi films! The fact that movies through the decades in India have reflected what was going on in society there is one of the interesting things to me about Hindi films. Do let me know what you think of it if you see it. It’s a wonderful film. This sounds interesting. Your blog is such a source of tempting movies to watch. By the way, did I mention Alag alag to you? 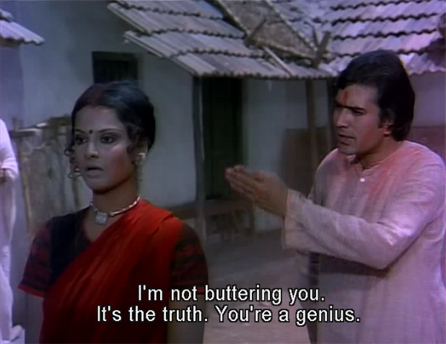 It has Rajesh Khanna, and Shashi in a supporting role. It is rather nice. It was very fine movie.Amitabh was a treat to watch in this movie.Wat?no songs didn’t struck u.Just hear the song Main Sayar Badnam thrice.I m sure u will love it. Gebruss: I will look for Alag Alag. Shashi and RK? How could I possibly resist? Sanket: Yes, Amitabh was v. good. I like him a lot with RK, wish they had done more together. oh gwash- I’ve started watching this movie about 3-4 times- and have never been able to watch it to the end- its THAT sad for me- so i dont know how it ends. I agree w/ ur Rk love on this one, no arguements. utterly heartbreaking. I know, the sight of RK’s garlanded photo was almost enough to make me run screaming. I hate hate hate sad movies. But it’s really really good, a world-class film. Lots of great moments in it, and not so sad throughout (mostly). Oh that kitty-cat wall decoration—I’d know it anywhere! Also, I’m pretty sure I’ve seen AB wear that hideous upholstery shirt before somewhere. 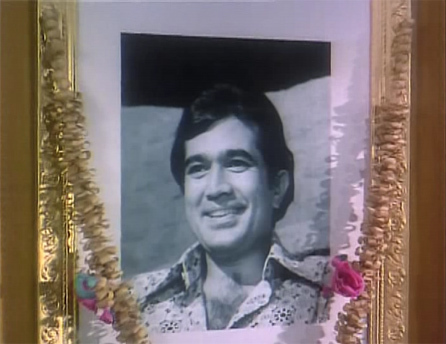 Rajesh had one of those shirts too (he’s wearing it in his garlanded picture). Hey if they used the same set 9 years later, they probably used the wardrobe elsewhere too! Waste not, want not. I see your point re: misery in a third film…but I like them together, they feel complementary rather than clashing to me. RK didn’t seem lachrymose to me through most of it, just more introverted; although towards the end his dilemma did make him quite unhappy. I just included a link to this post of yours within mine, which I hope is OK, let me know if it’s not. Chorni, which I now must see. I am happy you got a screen capture of that great cat piece of art on the wall in the background. Well that cat wall art and set do matter in my mind. :) I am semi-obsessed with the theater shown in LOTS of BOllywood films, the one that has sort of hyroglypihc style people painted down the upper part of the walls. It’s in Rishi’s scene singing Pardah Hai Pardah in Amar Akbar Anthony for sure and in about 5 other film’s I’ve seen. Do you know the one I mean? I love this movie.. both actors were equally good… both had there own roles to play and they both gave justice to there roles. If possible would you ba able to give me all the shayari from this movie please.. This was an excellent movie. Both RK ans AB acted well, but RK was much better in acting. I could not control my emotions when RK brings laddo to AB. It is sad that we could not see them together after this film. i THINK RK & AB acted equally well. AB later on outclassed RK with every film in mid 80s. RK waned after his hero days were over, AB went on & on. Remember AB thrived & gave big hits even when TVs started coming at homes. Agneepath role RK wouldnt have made such an impact. AB could do anything RK could do any time. 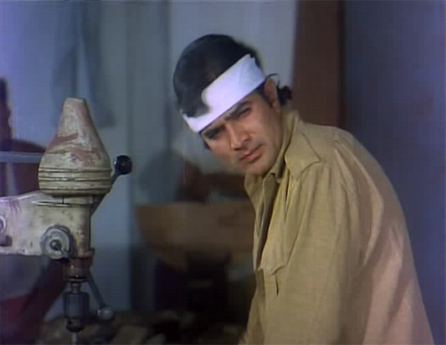 RK would have looked odd in Sholay. AB could easily do the same in Bawarchi. I agree RK played more variety of roles & experimented lot better than AB but wasnt as suitable as angry youngman or loafer kind of roles. I like both as much as Raaj Kumar. 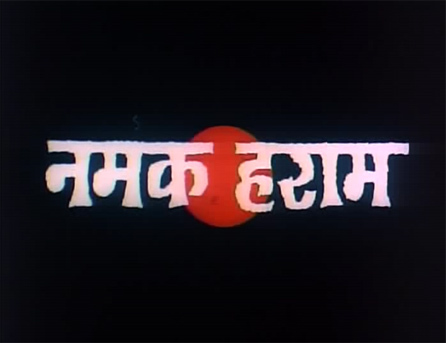 movie was superb by hrishida… Songs are still memorable, strangely kishore sang all songs for rajesh khanna. 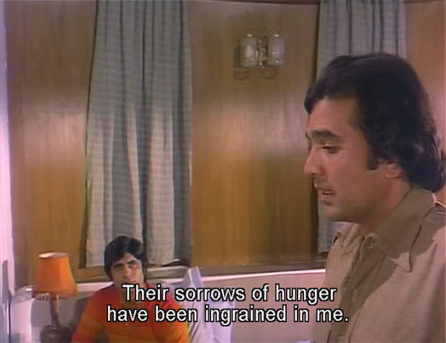 No songs for Big B.
Rajesh Khanna in ANAND and here too played the main lead in films with Big B. In this film though both have equal scope almost yet Rajesh is the main character. Prakash Jha’s latest movie Chakravyuh is nothing but a modern version of this movie (story set with a Naxlite backdrop, that’s the only difference). Saw this movie first time in my teens when it came out. Around that time, there were 2 marathi plays written by two stalwart writers, one a direct adaptation of Becket and the other, taking the same idea but adapting it as a conflict between a mill-owner and his lower-middle-class friend. These were hugely popular at the time so in spite of Hrishkesh Mukharjee’s denial, his script had a lot of similarity to the second play, even though not acknowledged becuase that play itself borrowed the idea from Becket but did not acknowledge either. I saw both plays as well as the movie around same time. Gulzar did change it so it is not the mill-owner friend who indirectly sanctions the killing of his friend (as in the play), and Amitabh is shown so close to Rajesh’s mother and sister. Also the mill-owner in the play was shown (like the king in Becket) unable to handle the workers winning in the disputes. In the movie, Amitabh’s character really has no serious bad traits so one sympathises with him more about Somu’s ‘betrayal’ than in the play. Not that this takes away anything from the movie but at that time this was not considered an original script. Watched it second time yesterday. I really really love the movie this time around as well. I also remember the hoopla about who was better in the movie, Amitabh or Rajesh. I still think ( as I did then) both were great just as in Anand and do believe that these two, superstars in their own right, really bring the best performances out of each other. Both have great voices and dialog deliveries as well as acting chops. Great direction, great supporting cast (Asrani always surprises me, Hangal always blends into the character and nice to see Om Shivpuri act as he used to, before turning into shrieking evil mad man) and yes, one great song at least for me( Nadiya se Dariya). Wish they had worked together more often, without having to kill any one. When the movie released, there were comments like kaka was insecure, he ragged amit on the sets & made him do many retakes etc., How could hrishida allowed all this? Since subtle performances were not the order of the day, amit got the credit. Rajesh & Amit were supposed to do Rajput in 1982 but then that did not materialise. Dharam & Vinod were roped in instead. My leftist Bong friend asked me to see this one. Amitabh was excellent and a song DIYE JALTE HAIN was picturised well. Stories of Hrisha da’s all movies as usual were simple straight and sobre. Liked it.